These custom assembled kits are available in stainless steel and cast iron pump options. (Stainless steel picture shown here). 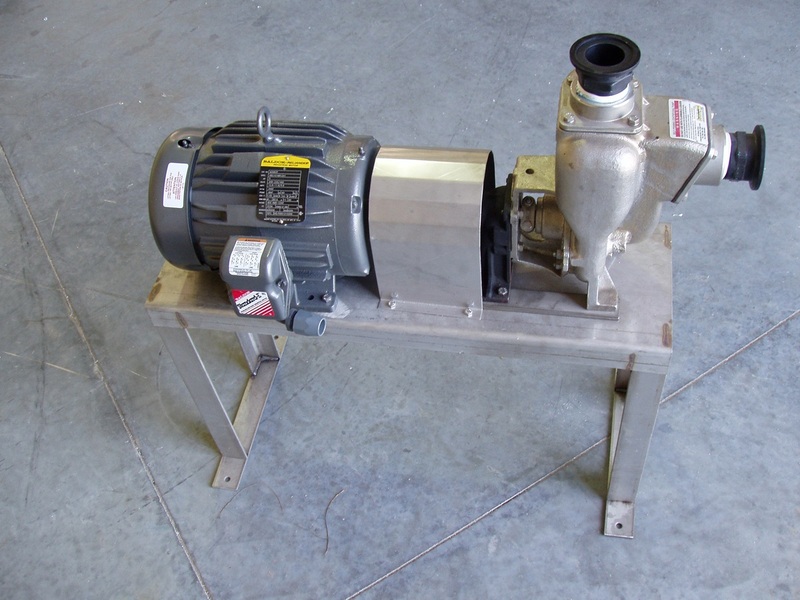 All kits include 2" pump with viton seal, 5hp 3ph motors, coupling guard, and stand. Single phase option available, just let us know at time of order.